UPDATE: Watch Microwave’s new music video for “but not often,” below via Noisey. After hinting at new material in an interview with UTG’s Dana Reandelar, recent SideOneDummy signees Microwave have announced a split with Bad Timing Records’ flagship artist Head North. The split will release on October 9. Pre-orders are now available here. Check out the artwork and tracklisting below. 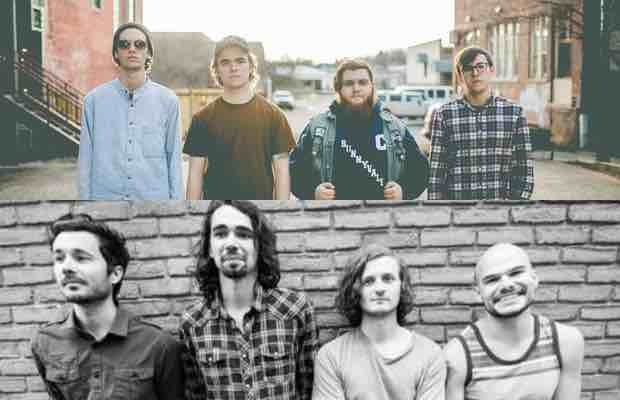 You’ll have the opportunity to see both bands on two separate, but equally stacked tour lineups this fall; Head North will spend the fall with Knuckle Puck, Seaway, and Sorority Noise, while Microwave will tour with Have Mercy, Transit and Somos. Both Head North and Microwave have found unprecedented success in 2015, rising through the ranks of the underground alternative music scene and separating themselves from their peers in all the best ways. This release is sure to be a pivotal moment in both bands’ careers, so make sure not to sleep on it.